I have W-S 1913 #7616 and am looking for Springfield 1903 #936514. Let the journey begin. Still looking and will be for a while. Any W-S optics out there stamped for 935336? I keep a spreadsheet of serial numbers and have never seen an optic with a “For Rifle No. 935xxx”....yet. I was reading some Warner Swasey docs last night some of these scopes might not have made it past the 20's. A lot that became unserviceable were not repaired and scrapped. They very much talk about them like they are disposable at that point. Last edited by cplnorton; 11-17-2018 at 06:57 AM. Closest one I have is s/n 7308 for rifle # 936430. I acquired an interesting rifle. Warner-Swasey, Ser. #6684 on S.A. 1903 #1008288 with an Air Service magazine attached. Still investigating and digging up any info I can! Hey sorry I haven't had a chance to respond yet to your email. That is higher than anyone known so far that I know of. I wouldn't say it would be impossible, but it is out of the norm. Even the ones made around my serial in the 930,000 range, the WS was outdated by that time as the US Army had replaced them with the A5, and was still focused on adopting the Model of 1918 snipers from WRA. Do you have a pic of the staking inside the receiver? Even if a restoration, it should show some remnants of the staking on the receiver where they were once staked if real. I’m quite confident that W-S rifles did go over 1,000,000 S/N. I have an example (unplugged) and have heard of another higher than mine in Austria. 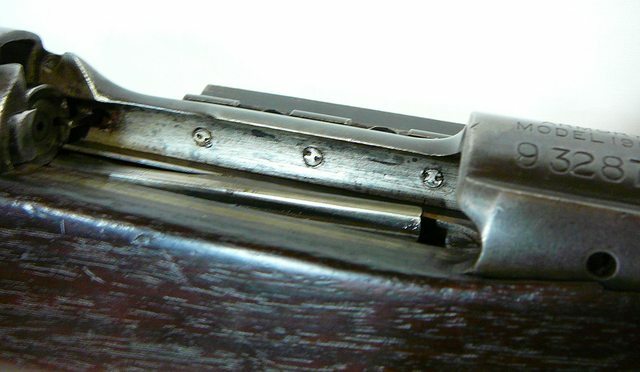 The European rifle is held by a prominent W-S collector. However, I do not have documentation to support these unusually high S/Ns. As for remenants of staking after plug removal, it may be possible that the stakes didn’t intersect the receiver. My plugged 935,000 has a single stake within each plug with only a 4th stake outside the forward plug (a miss?). So it may be possible to remove plugs without evidence of staking if single staked. Last edited by PRC148; 02-17-2019 at 08:55 PM.